Researchers at the CDC say that gonorrhea treatments may lose effectiveness in the near future. The only thing more disturbing than a sexually transmitted disease (STD) is a case resistant to antibiotics. Due to this fact, the Center for Disease Control and Prevention (CDC) says doctors must stop using a key antibiotic for treatment, due to an emerging bacterial resistant form of gonorrhea, according to The Washington Post. The Post says this leaves only one option for doctors treating the disease. Cefixime, which the Post says is no longer recommended, is an oral antiobiotic marketed as Suprax. Because the antibiotic is becoming less effective, the Post says the CDC recommends an injection of the generic antibiotic ceftriaxone, used simultaneously with another antiobiotic, instead of the usual oral method. In order to place the problem of drug-resistant STD’s more thoroughly in perspective, one has only to look to our neighbors across the pond. According to the Post, Europe has had a history with drug-resistant strains of gonorrhea. The Post cites health officials from the European Centre for Disease Prevention and Control as saying last June that drug-resistant strains of gonorrhea account for almost one in every ten cases of STDs—more than double the previous year’s estimates—according to data collected in 2010. 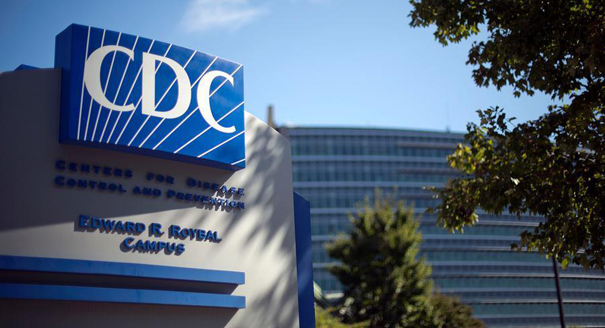 Quoting Gail Bolan, director of the CDC’s Sexually Transmitted Disease Prevention division, as saying this move is “a critical preemptive strike to preserve the last effective treatment option,” the Post reports the measures U.S. Health Officials are taking to deter a widespread drug resistant outbreak. In addition to preserving effective methods, the Post says Ms. Bolan believes this halt will give pharmaceutical companies time to develop more treatment options. Ms. Bolan also told the Post that although an annual 300,000 cases of the disease are reported in the United States, because many people who have gonorrhea do not show symptoms, the actual number is most likely closer to 700,000—that’s almost 23 percent of the entire population. The CDC says that advanced cases of the disease can cause infertility in both sexes, serious complications such as pelvic inflammatory disease (which causes chronic and long-lasting pelvic pain) and ectopic pregnancy (where a fertilized egg develops outside of the uterus) in women, and epididymitis (a painful testicular condition) in men. Additionally, those women who are pregnant and discover an outbreak of the infection are at risk for causing severe eye infections in newborn babies and the possibility of stillbirth. Until new antibiotic treatments are developed, the CDC suggests consistent use of latex condoms, abstinence, or mutually exclusive long-term relationships between regularly tested partners.